graduation in June. In the past 4 years, I spend most of my time on study; I have passed CET4/6 with ease. And I have acquired basic knowledge of packaging and publishing both in theory and in practice. Besides, I have attended several packaging exhibition hold in Beijing, this is our advantage study here, and I have taken a tour to some big factory and company. Through these I have a deeply understanding of domestic packaging industry. Compared to developed countries such as us, unfortunately, although we have made extraordinary progress since 1978, our packaging industry are still underdeveloped, mess, unstable, the situation of employees in this field are awkward. But I have full confidence in a bright future if only our economy can keep the growth pace still. 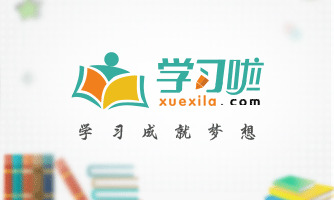 I guess you maybe interested in the reason itch to law, and what is my plan during graduate study life, I would like to tell you that pursue law is one of my lifelong goal, I like my major packaging and I won’t give up, if I can pursue my master degree here I will combine law with my former education. I will work hard in these fields, patent, trademark, copyright, on the base of my years study in department of p&p, my character? I cannot describe it well, but I know I am optimistic and confident. Sometimes I prefer to stay alone, reading, listening to music, but I am not lonely, I like to chat with my classmates, almost talk everything, my favorite pastime is valleyball, playing cards or surf online. Through college life, I learn how to balance between study and entertainment. By the way, I was a actor of our amazing drama club. I had a few glorious memories on stage. That is my pride. This four years, I always believe that good good study, take an active part in activities to enrich their lives, a former minister of school students * *, the class learning committee member, and has won the school outstanding director-general.